If you didn’t know, we are in the middle of a pcs (military acronym for moving to a new duty station). Due to the fact we have moved away from our last duty station and therapists and haven’t yet reached our final destination- we have had no therapy of any kind since the start of May. The lack of therapy is starting to show on our kids. The lack of routine and assistance has become an issue. A issue we can not fix until we reach our new duty station. However, no one likes to see their children regress and suffer. To help aid them we have started trying to incorporate their past therapy techniques as we can. 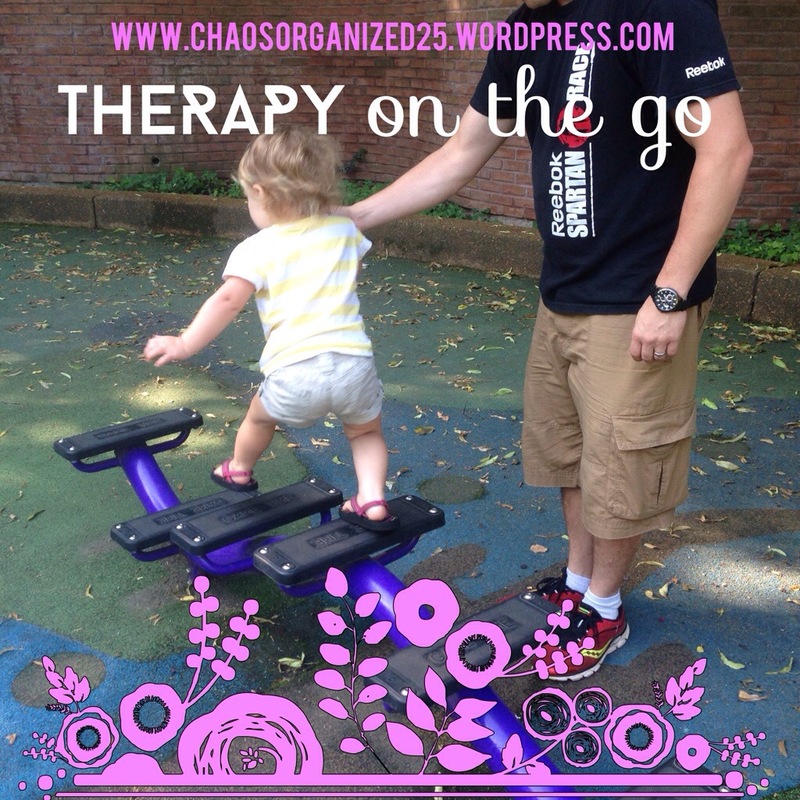 One tip of being on the move with your littles that are missing out on therapy is to talk with your child’s therapist before you move for helpful advice and things you can do on your own to help maintain the levels they have reached. For example: We talked with Sb’s PT before we moved to see what fun things we can do on the move to help her progression with her coordination. She told us to go to the park and walk her up and down the stairs. She gave us further information on what exactly what to do. But the mere fact we can easily go to a park to do therapy while on vacation or during a move is awesome and more importantly; doable. Not all therapy is so easily achieved. We don’t stress about what we can’t do and we make sure we do plenty of what we can. In the end everyone is happy. SB and the other spawn get to play and mommy and daddy feel like real parents (Compared to those alien ones that spike horns and carry a sickle when their children misbehave). This entry was posted in Tricare and Therapy Thursdays and tagged ABA, adhd, army family, ASD, autism, leg problems, military family, moving, OT, pcs, PT, special needs kids, speech, therapy, tiba torsion, toddler, traveling. Bookmark the permalink.